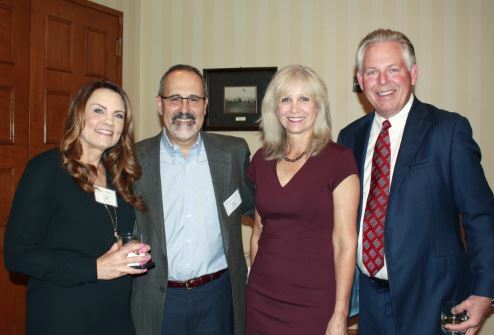 Los Angeles County Supervisor Kathryn Barger and Pasadena Mayor Terry Tornek were on hand for the recent opening of Huntington Medical Research Institutes’ new biomedical research facility to the public. 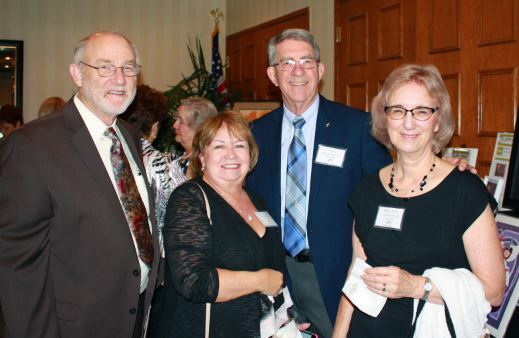 David and Mary Sue Scheidler were joined by Janet and Jack Orswell at a previous Elizabeth House Gala. 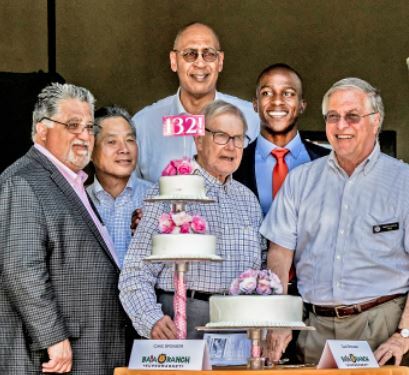 This year’s event is being held on Saturday, April 28. 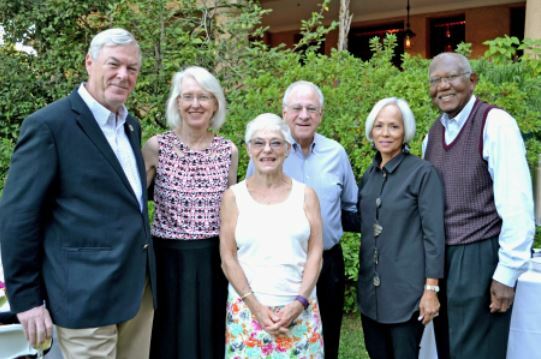 Elizabeth House, based in Pasadena, is hosting its annual gala on Saturday evening, April 28, at Oakmont Country Club in Glendale. 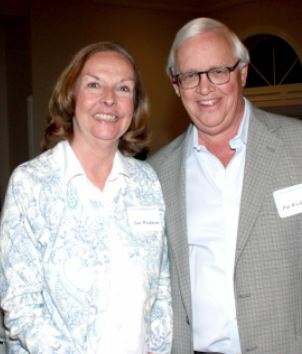 The reception and silent auction begin at 5:30 p.m.; the dinner and program are at 7 p.m.
Dr. Lisa Masterson of “The Doctors” television show will be the honoree at this 15th annual gala. 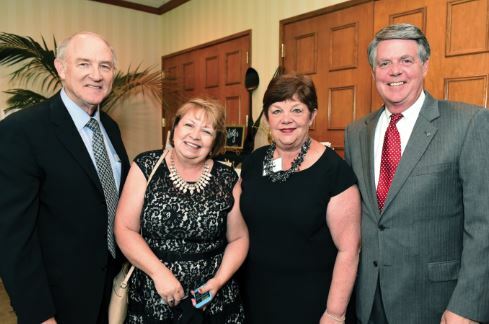 Kim Villa, Michael Cerrina and Noli and Bill Caswell were among those who enjoyed a previous Elizabeth House Gala. This year’s event is being held on Saturday, April 28. 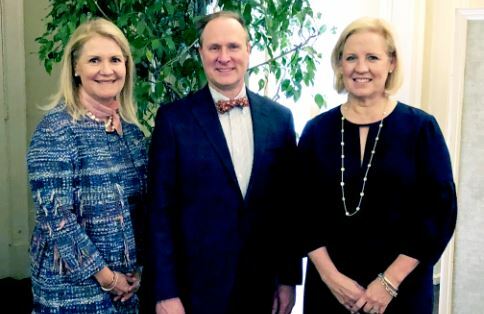 The Pasadena Symphony 2018-19 season was announced with seven concerts for its 91st season. Concerts commence on Oct. 20 with Mozart’s Requiem through a May 4 finale featuring Beethoven’s Fifth Symphony. Other highlights include Mahler’s Symphony No. 1 “Titan,” a tribute to Leonard Bernstein and a Tchaikovsky Spectacular. Nancy Reardon shows off her Brittany-breed dog, Joe, who won “Select Dog” recently at the Westminster Kennel Club Dog Show in New York City. Joe has always known he’s top dog, but now he’s got a Westminster Kennel Club Dog Show ribbon to prove it. 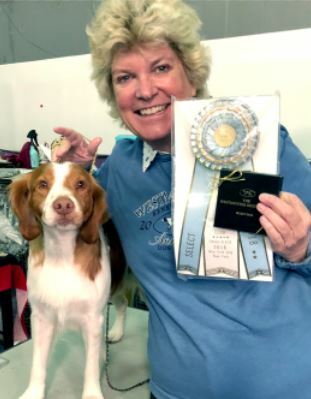 The cold-nosed, warm-hearted Brittany came home to Pasadena last week with a blue ribbon for “Select Dog” and proud fans who praised owner Nancy Reardon with the exciting win from America’s biggest dog show. The feat was even more impressive, given Reardon considers herself a bit of a dog-show novice.